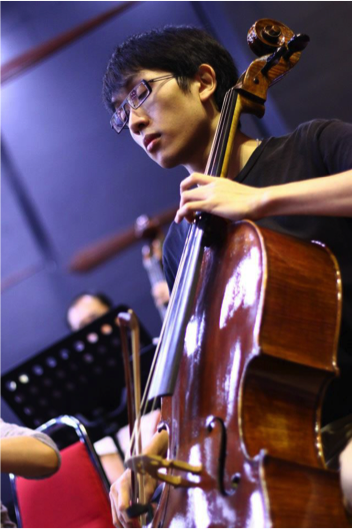 Stephen Tseu started playing the cello in the Kian Kok Youth Orchestra when he was 13, and besides having led the strings’ section during his time, his active involvement in ensemble performances have brought him throughout Malaysia and places such as Hong Kong and Taiwan. He was also chosen as the only Malaysian to attend a cello masterclass with Alexander Buzlov in Singapore last year in November, fully sponsored by Gazprom Co. He is the founding and current member of the DSCH Quartet, the student quartet-in-residence of the UCSI University. In addition to that, he also plays in the Malaysian Philharmonic Youth Orchestra and klpac orchestra, and is presently pursuing his performance degree in cello under the tutelage of Julie Dessureault. Beside performing on the 19 July with JPO String Orchestra, Stephen will be in charge of tutoring the cello and bass section of the festival. He is also Jesselton Philharmonic Orchestra former principal cellist who has performed with us at the Sunset Music Festival at the Tip of Borneo.